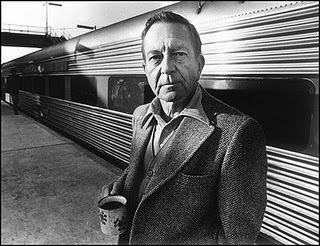 Cheever: "Goodbye, My Brother" and "The Five-Forty-Eight"
These two stories by Cheever pull me into deep waters. It's not the purification experience of swimming that the "Goodbye, My Brother" narrator believes in. Rather, these waters are like the ocean that long ago drowned the father of that story, the waters that always drown our fathers because they are the whole of our backstory--they are where the past exists. In "Goodbye, My Brother," we find Cheever referencing old myths and old bloodlines, traditions and the way our readings and reinventions of traditions might help or harm us--on this point, I find find the story to be steadfast in its ambivalence. In "The Five-Forty-Eight," the crazy victimizer, Miss Dent, is also the victimized. She too draws on the past, quoting Job from the bible, a man who suffered greatly and was not perfect. In the end perhaps Miss Dent succeeds in getting through to the blind and somewhat cruel Blake. Cheever leaves this up to interpretation. Keep this idea in mind when reading Flannery O'Connor's "A Good Man Is Hard to Find." P.S. This posting is a mini-lecture, not an model for the comments I'd like from you. For that, stick to the syllabus's instructions of writing about technique/elements and how Cheever might influence your writing. My brother George and I used to sing this funky Pointer Sisters song in the seventies. The counting grounds you while the melody magics you up. Throw in a pinball machine and you've got a vision of life itself. Stability, art, and chance. This is how I feel about origin and originality. 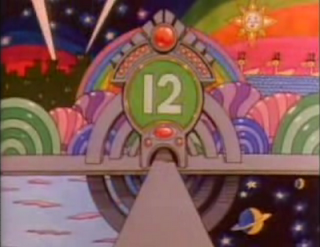 My answer is twelve. Animator Abbey Luck has remade the video with music by Perrin Cloutier of the band Beirut. Hope you enjoy it as much as I do.